Giveaway Entry!! Simply follow this blog, and leave a comment with your email address. A winner will be chosen by November 1st. 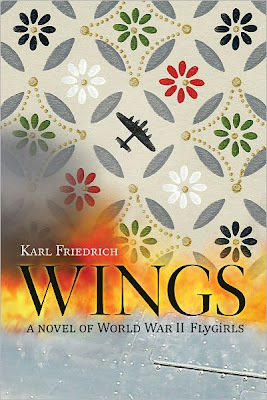 Published by: McBooks Press Inc.
﻿Based on the true World War II stories of America’s first female military pilots, this historic novel follows the story of a young woman from a dirt-poor farm family. Sally Ketchum has little chance of bettering her life until a mysterious barnstormer named Tex teaches her to fly and to dare to love. But when Tex dies in a freak accident, Sally must make her own way in the world. She enrolls in the U.S. military’s Women Airforce Service Pilots (WASP) program at a special school known as Avenger, where she learns to fly the biggest, fastest, meanest planes. She also reluctantly becomes involved with Beau Bayard, a flight instructor and aspiring writer who seems to offer her everything she could want. Despite her obvious mastery of flying, many members of the military are unable to accept that a “skirt” has any place in a cockpit. Soon Sally finds herself struggling against a high-powered Washington lawyer that wants to close down Avenger once and for all. Mr. Friedrich has worked as a newspaper reporter, magazine and public relations writer, advertising copywriter, and photographer. 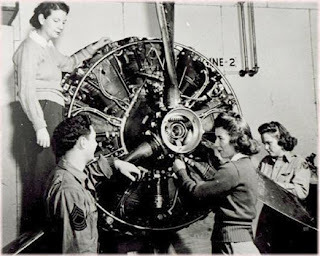 His many friends who fly military or commercial aircraft, and his lifelong fascination with women who achieve great accomplishment despite the displeasure of men, provided inspiration and impetus for Wings. He lives with his wife, Rhonda, in the Pacific Northwest. I'm a staunch advocate of women's rights, as is well-known about me. And, one of my favorite things to read about, in addition to stories having to do with strong women role-models, is WWII-centered novels. This book, then, was a request I quickly made to review, and I've been pleasantly rewarded by a fantastic story, written by a deliberate and invested author. I say that Mr. Friedrich is invested because you can tell from his writing that he strongly supports women pilots, and has a sense of the harassment and indignities they experienced while trying to serve their country. Woven well within his novel, as well, is the angst of this on-going struggle women face as prejudice remains a continuous barrier to cross despite dedication and abilities proving their excellence and readiness to brave any circumstance. Starting out somewhat "hokey," to my ears, I found the too Southern dripping dialog off-putting. But, very soon in his story, Friedrich picks up the pace and loses the colloquialisms that distract from his message. He's at his best as a writer when he's describing the rotes of learning to fly, the challenges facing the women as "would be" pilots, and characterizing the men who interface with them. I loved his female protagonists, Sally and Dixie. 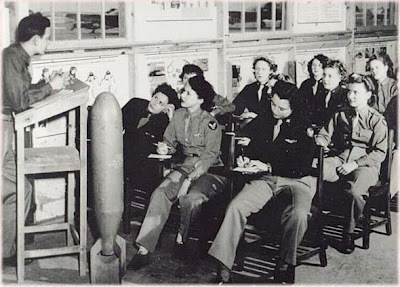 Strong, intelligent, resourceful and devoted, these women reflected the best in those who answered the call to duty during WWII; and, yet, were resilient and steadfast to maintain their sense of feminity. I liked the metal it took for Sally to stand up to military brass. And, I enjoyed the softness she demonstrated in love and loss. Let me ask you something," Colonel Kaskall said. "You have a boyfriend in the military, I imagine. How do you think these shenanigans of yours--running around wild all over the sky and almost getting yourself killed--how do you think they make him feel? A soldier needs to know that someone back home cares about him and is keeping the fires burning. That's the greatest morale builder we have. It's what keeps men going in combat." He folded his arms over his chest while he considered whether to spill the rest of what was on his mind. After a moment, his face turned to hard sincerity. "It might interest you to know that in Germany, young women such as yourself are taken to breed with Hitler's soldiers. They're recruited to special homes, where their sole duty is to birth future Nazi armies. That's the kind of enemy we're fighting!" He let that sink in. "Instead of running around almost getting yourself killed, you should be at home, young lady, doing what women do best." He crinkled. She throttled her revulsion...."If you're suggesting, Colonel, that I could better serve my country by whoring, let me assure you that airplanes are the only things I ride." Colonel Kaskall's neck bulged over his collar, and a palette of red rushed to his stunned face. "How dare you speak to me that way!" He turned on the major. "Get them out of here! You have two minutes!..." Now, I consider that some fine writing that says more than enough about how women were perceived and accepted in the military during WWII. Mr. Friedrich's championing of them, and his recognition that it had to have taken strong backbones to withstand such harsh conditions and mental exploitation, makes his book a triumph for women's literature. 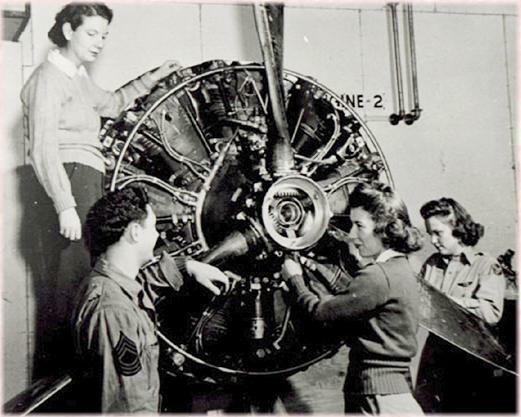 Women Airforce Service Pilots, WASPS were quasi-military. They flew military aircraft, but were not officially in the service. While they took on the roles of risking their lives to serve their country, they retained their integrity of womanhood despite conditions that many men would have withered under. Mr. Friedrich's love and respect of such flyers makes his novel a joy to read and an absorbing one. I knew such a woman who was in the English piloting program during WWII. She was a strong-minded woman who never minced words, consequently, she wasn't popular in our women's heiarchy circles. I thought it was interesting that she never really made an effort to "fit in," but retained this sort of overbearing "wisdom attitude" that didn't mesh with American corporate wives in the early 1970's. Once my husband told me she had been a British flyer, I made tracks to become her friend and learned she was a woman of superior intelligence and dignity. Just not frivolous and cocktail party conversational! All this being said, I want to thank Karl Friedrich for his wonderful book. It's just the thing we need to remind us what powerful women we are, and what women have contributed to the building and welfare of our nation in all areas of life. As an aside, I might add that long before the WASP's were formed, Amelia Earhart had made her mark in aviation history, proving that women were not only capable of excellence in the sky, but excellence in endurance. Thanks to TLC Book Tours for this opportunity to review "Wings." Great review, Deborah. This sounds like such an interesting book and right up my alley. I wouldn't mind winning a copy. This book sounds fantastic! Thanks for the giveaway. I am a GFC follower (Colleen Turner). I don't think I've read ANYTHING about female pilots in WWII - this one sound great! I'm glad you enjoyed it. Thanks for being a part of the tour. I really enjoyed your review and cannot wait to read Wings. My daughter and I are great History loves as well as anything to do with WWll. Thanks for this opportunity. GFC follower under Lucky47. I love stories from this era and would love to win this book.